As the resumption of live racing at Santa Anita looms nearer, the picture is becoming steadily clearer over the potential rules of engagement, following an announcement earlier this month of a sweeping set of new medication and safety protocols to be implemented at Santa Anita and Golden Gate Fields. Nevertheless, question marks linger over a number of important details. Entries were made Sunday morning for next Friday, Mar. 29, marking the return of live racing at Santa Anita after a hiatus of more than a month in the wake of 22 equine fatalities at the facility since the start of the winter-spring meet. Santa Anita racing secretary Steve Lym also announced on Sunday a new system at entry time, which adds an additional layer of scrutiny on “at-risk” horses. Lym explained that after entries are taken, the horses’ respective past performances will be scrutinized for certain patterns. The racing office will then contact trainers of horses identified as being at higher risk of catastrophic injury and, if necessary, a commission veterinarian will conduct a physical examination of the horse. This system will begin when entries are taken at Santa Anita for next Saturday and Sunday, said Lym. This system mirrors the one in place for morning workouts. Currently, trainers must notify the racing office 24 hours before breezing. Lym said that on Monday, the notification time on workers will be extended to 48 hours. “Part of the reason for that was to give the staff enough time to examine the horses that need examining,” said Lym. There will be no requirement for private attending veterinarians to sign off on a horse’s soundness prior it breezing, which had been raised as a possible new policy, he said. 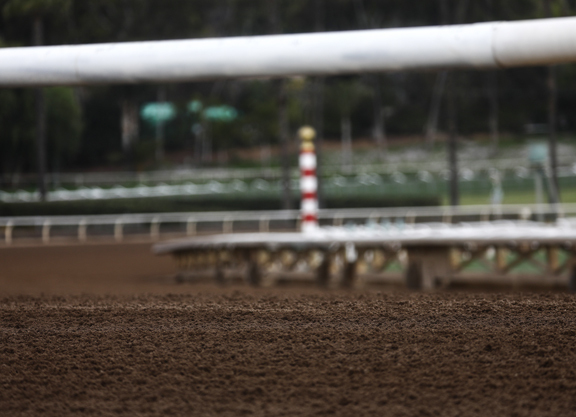 Many of the proposed new rules are pending approval by the California Horse Racing Board (CHRB) at its hotly anticipated scheduled meeting on Thursday, Mar. 28 at Santa Anita. Santa Anita could release a statement over the next few days for the horsemen, “just so they know what they’re entering for,” said Lym. He warned, however, that while the CHRB is expected to approve the proposed rules, the horsemen should be prepared for the possibility of further changes at the meeting. There will be “no authorized threshold” for nonsteroidal anti-inflammatory drugs (NSAIDS) and corticosteroids, and no “stacking” of these drugs, either; by house rule, the stand-down for intra-articular corticosteroids will be extended to 14 days–double the current recommended withdrawal period based on thresholds. The stand-down times for permitted NSAIDS have also been altered, with the withdrawal time for Phenylbutazone extended to 48-hours, for example. The stand-down for shockwave therapy will remain the same–10 days. Blea said that, besides the expected changes to use of NSAIDS and corticosteroids, “there’s not much difference” to the rules currently in place. But he added that the ambiguity over some of the specifics has been a cause for concern. “There are two things trainers and veterinarians don’t want. One is a positive test. And two is a dead horse,” he said. There are two separate parts to these proposed changes. The first concerns an “in house” rule change applicable only to Santa Anita and Golden Gate Fields. The second is a proposed regulatory amendment that would restrict the use of riding crops at all racetracks in California. 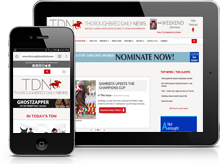 Jockeys’ Guild national manager Terry Meyocks said that the Guild is currently “still in discussion” with The Stronach Group, and that there could be greater clarity on the situation by the start of the week. Another agenda item concerns the proposed change to the use of Lasix at Santa Anita and Golden Gate Fields, cutting in half the permitted level from 10cc to 5cc. An agreement on this issue was reached on Mar. 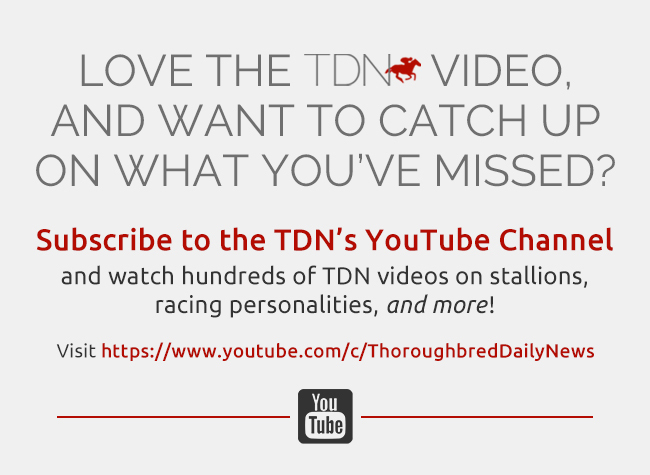 16 between the Thoroughbred Owners of California (TOC) and TSG. Not mentioned in the package for Thursday’s meeting is the other part of the proposed change concerning Lasix–that 2-year-olds starting in 2020 will race entirely Lasix free. Santa Anita also announced Sunday its for when racing is expected to resume. The $600,000 GI Santa Anita H. will be run on GI Santa Anita Derby Day, Saturday, Apr. 6.